As tough as she looks in the movie, but Gal Gadot is like every other girl. Gal Gadot-Varsano is an Israeli actress and model. Gadot is primarily known for her role as Wonder Woman in the DC Extended Universe, starting with Batman v Superman: Dawn of Justice, continuing as the lead in Wonder Woman. Gal Gadot, who is leading a successful career, is also successful in her love life. She is married to husband Yaron Versano and their relationship seems to be pretty awesome. Let's talk about their married life, children and their past affairs in this section. Gal and Yaron met each other 10 years ago through a mutual friend. The Wonder Woman Gal Gadot is married to an Israeli businessman, Yaron Versano. They got married on 28 September 2010. The couple is blessed with a 4-year-old daughter, Alma. The couple has been married for about 8 years now and still seems to be very in love with each other. Gadot and Versano are more than just life partners; they have supported each other through thick and thin. Gadot credits her husband for her successful career as an actress and Versano tells that Gadot is the reason behind his success as a businessman. Well, we all can agree that they make a very good team. Do you want to know an interesting fact? Well, Gal is ten years younger than Yaron. Despite their huge age gap, the couple is extremely happy with each other's company. 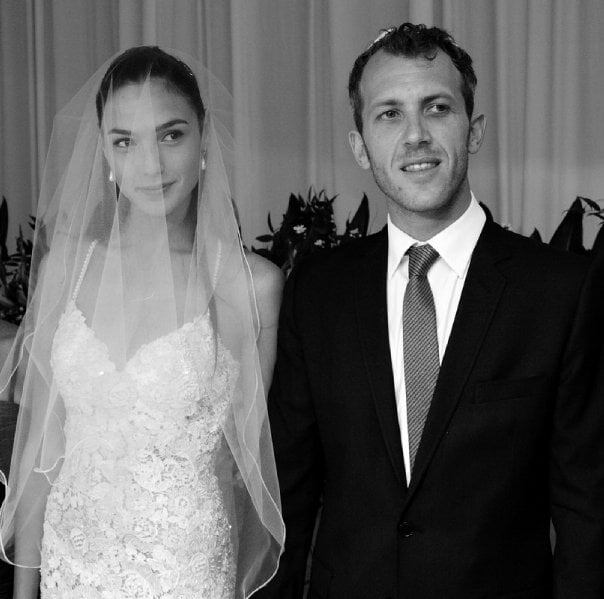 Check out the video on five facts of Gal Gadot's Husband Yaron Versano. Let’s talk about how these two lovebirds met. Gadot, who played the role of Gisele in the Fast and the Furious franchise, alongside Paul Walker, Dwayne Johnson and Vin Diesel, in an interview, revealed how she first met his hubby Yaron. They indeed have the cute love story. Gal told that he met her husband in 2006 through mutual friends at a party in the Israeli desert. They had an instant connection and got married after 2 years in 2008. Varsano was so serious about Gal that he told Gal on their second date that he wasn’t going to wait for more than two years to ask her to marry him. Gal said that Varsano proposed to her in a very special way but she has kept it to herself. Ever since their marriage both Gal and Varsano has achieved great success in their career. Gal Gadot after her role as Wonder Woman in Batman Vs Superman will be starred as the lead in the upcoming Wonder Woman movie in 2017. As for Yaron Versano, made a $26 million by selling his five-star hotel named Varsano Hotel as reported by the Israeli news site Globes. It looks like Varsano is very supportive of her career and just wants to make his wife happy in whatever ways he can. They both are very lucky to have found each other and are the true definition of soulmates. This marvelous couple has a daughter named Alma who was born in 2011. She is already 5 and is growing up to be a beautiful girl. Both the parents, despite their busy career have given their first priority to raise their daughter in the best way they can. And till now they both are doing a spectacular job. Gal Gadot and Yaron Versano recently welcomed their second child in 2017. The actress previously had announced the coming of their second child through a post on Instagram. So excited to share this wonder with you... #mommyforthesecondtime ???????? Gal Gadot, who has a huge net worth uploaded a black and white photo of her with her hubby forming a heart shape with their hands on her tummy. However, details about her second pregnancy have not been shared yet. But based on the photo she looks like she might be in her early month. We wish all the very best for this wonderful couple and hope to see pictures of their baby very soon. What is Gal Gadot Age? As of 2019, she is 33 years old. What is Gal Gadot worth? As of 2019, she has a net worth of around $10 million. Antawn Jamison: “It wasn’t difficult at all” playing against Kobe Bryant. How successful is he?